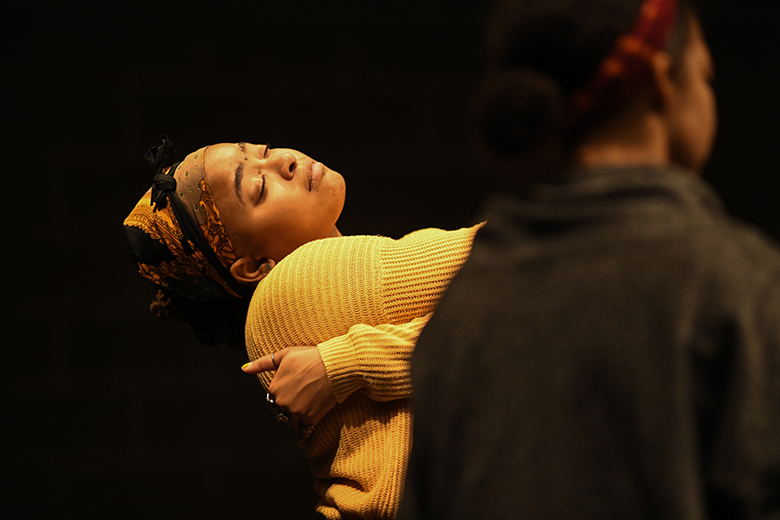 Tendayi Kuumba, who is also part of this spring’s BRIClab FLUẊẊ Part 2 (work-in-progress), first remembers dancing around the house with her mother to Stevie Wonder. Learn more about her dance journey and join Urban Bush Women for Hair & Other Stories, at BRIC January 31-February 9. When did you start dancing with UBW and what drew you to the company? I’ve been with UBW since 2013 and was drawn to the Company from a young age. I felt so much power seeing fierce strong women of color moving with beauty and grace with strong bodies like mine on stage. What is your relationship to hair? I have had locs in my hair since I was a child and always felt connected to myself and connected to my culture. The decision to shave my sides came to me in a dream and I had to release my connection to holding on to weak edges and step into my strength. What are you most excited about for this performance? I’m excited to continue to dig into issues that need to be discussed and broken down now more than ever so that we can dismantle this toxic system. I hope that the audience walks away with questions on how we can each dig more into our humanity through the lens of what we love. I hope they leave with continuous conversations and curiosities of how we can find liberation and work together to get there.